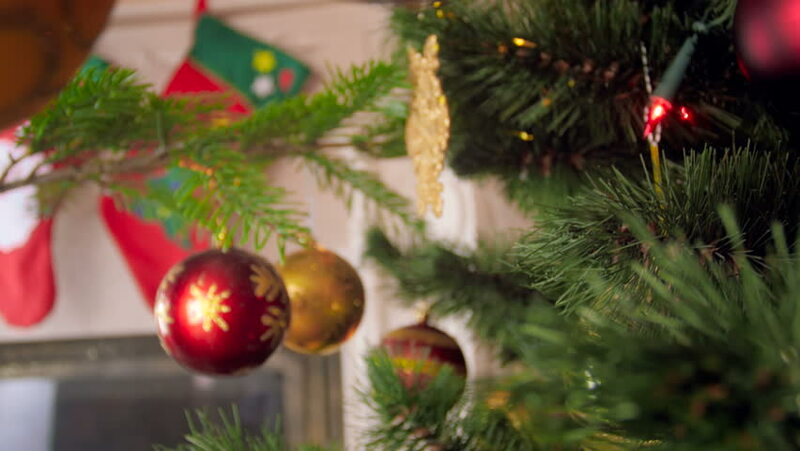 4k00:19Decorated Christmas tree with red and gold balls and wooden Pinocchio toy. Dolly shot of Christmas holidays celebration. Blurred, sparkling and fairy background with green pine branches and cones.